The New Leader® L2000G4 is your reliable and affordable single-bin spreader for applying high rates of fertilizer and low rates of lime. 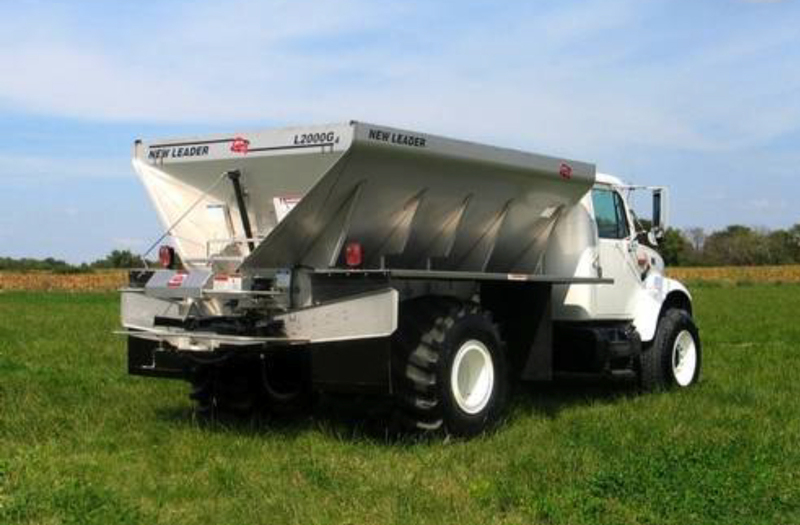 This combination spreader features a 24” wide belt conveyor and is available in 10', 11', 12', and 13' configurations in 304 or painted 409 stainless steel construction. The L2000G4 uses the G4 variable rate broadcaster to deliver a consistent spread pattern up to 70' wide. It's able to broadcast up to 2 tons of lime per acre at 12 miles per hour and dial down to 50 pounds of fertilizer per acre. The three-ply Moderate Oil Resistant (MOR) straight belt option means no conveyor chain or chain oiler, which reduces maintenance time and expense.